Unfortunately, there is a fair amount of news in the press about redundancies and restructures. Large corporations such as BAE Systems and BT are some of the employers having to face reorganisations resulting in large scale staff cuts. Subject to how many redundancies are being proposed, collective consultation may need to be commenced. Certainly for large corporations as above, we would expect there to be more than 20 redundancies (or even more than 100) within a 90 day period to trigger collective consultation. In short, it is a minimum timeframe to consult with appropriate representatives of the affected employees, in addition to individual consultation. Affected employees are those affected by the proposed dismissal or who may be affected by the measures taken in connection with the dismissals. Appropriate representatives are either trade union officials (where there is a recognised trade union), or elected employee representatives. 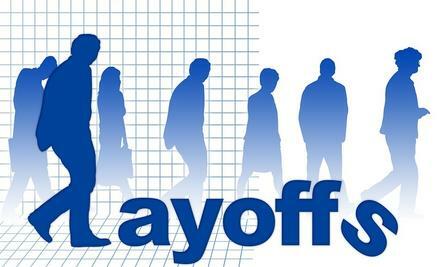 This minimum consultation has to be held before the first redundancy dismissal takes effect. With 20 to 99 ‘proposals to dismiss’, consultation must take place over a minimum 30 day period. Where 100 or more apply, the consultation period increases to a minimum 45 day period. What if there is no recognised trade union? The employer has a choice of either representatives elected by the affected employees, or employee representatives effectively who have already been elected (in a nutshell for the purposes of this article). Usually if there is no recognised trade union, the former would apply and a ballot and election process would follow (but not always, there is only so much which can be addressed here). Employees would then nominate and vote for employee representatives. Statutory rules govern the election process so legal advice would certainly be recommended if there is no recognised trade union. In addition to consulting with trade unions or employee representatives, there is also the requirement to notify the Secretary of State (BEIS) of the proposed redundancies. Employers who fail to follow the collective consultation process, can face costly risks in the form of protective awards (90 days’ gross pay) being made for each employee that they fail to collectively consult with. As well as no doubt, claims for unfair dismissal. It is very important therefore that any business who is looking to restructure and make redundancies takes proper legal advice from a qualified employment solicitor (we are specialists in this field at Swan Craig Solicitors). Not all businesses will have to collectively consult. If the minimum number of proposed dismissals is not triggered, consultation will still need to be followed but there is no legal minimum time frame. However, in order to avoid claims for unfair dismissal, it is important for employees to still follow a fair procedure and process. This includes a fair selection through the use of objective selection criteria and insuring that consultation takes place over a reasonable period of time, so it is not seen to be rushed and prejudged with the outcome. Establishing redundancy terms in respect of what notice will be required and statutory redundancy payments for those who qualify for it. There may be an enhanced redundancy package. If you are in the unfortunate situation whereby you need to reduce staff then contact us.